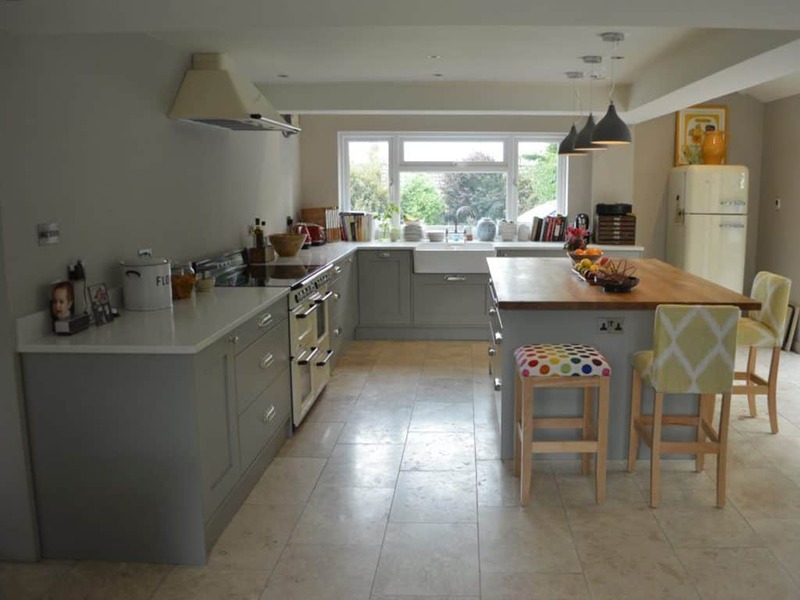 Our client’s property had a long narrow kitchen which didn’t work well for a family of five. The space was too small, the layout impractical, and the room felt cut off from the rest of the house. The property did, however, have a double garage and this space was just perfect for a new kitchen! We therefore removed the wall between the garage and kitchen, creating one large room. A new floor, complete with underfloor heating was added, along with a new roof and ceiling. Out went the old garage doors and in came full width bi-fold doors that flooded the room with light and provided a beautiful outlook onto the garden. 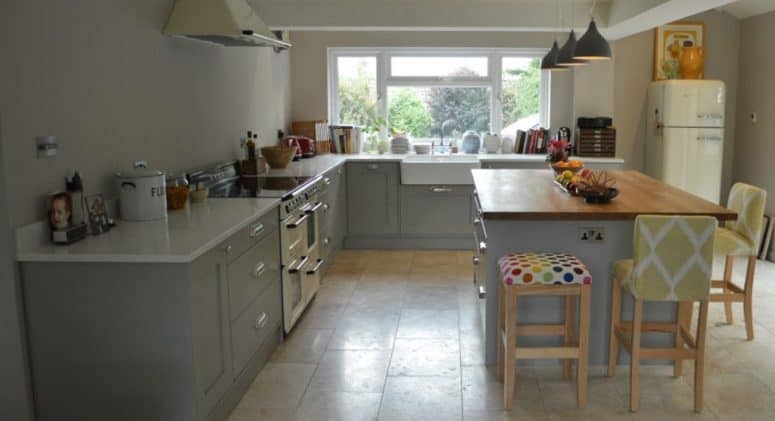 A Haydown bespoke kitchen was made, painted in our client’s chosen colour, and installed with quartz worktops and upstands. An oak worktop was added to the island unit as a contrast. Our client now has a beautiful kitchen and dining area, great for family living and entertaining. It is truly the kitchen their home deserved!